A dear friend loved my original chocolate brownie recipe and inspired me to make it my signature recipe. He also loves orange and chocolate. 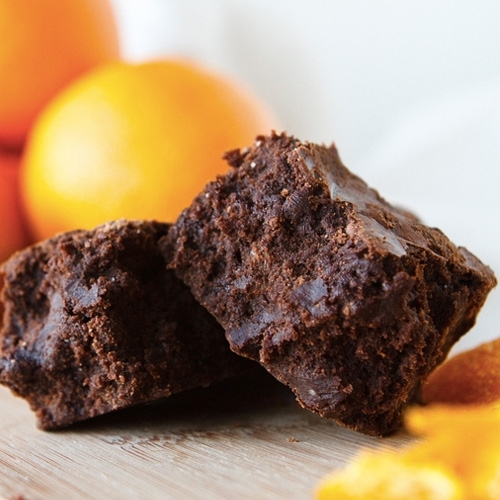 So as a special treat to him, I added fresh orange juice and grated orange peel from premium oranges to our classic brownie. The result is an elegant flavor-like confection…and a great loyal friend.